The Bavaria 42 was designed by Bavaria in 1999 and was in production until 2002. Later it was replaced by the Bavaria 42c model. 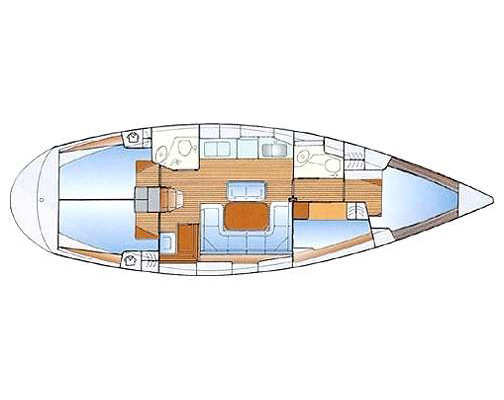 At 42 feet overall, the Bavaria 42 is a powerful, capable passage-maker. However her ease of handling makes it a joy to hoist sail. 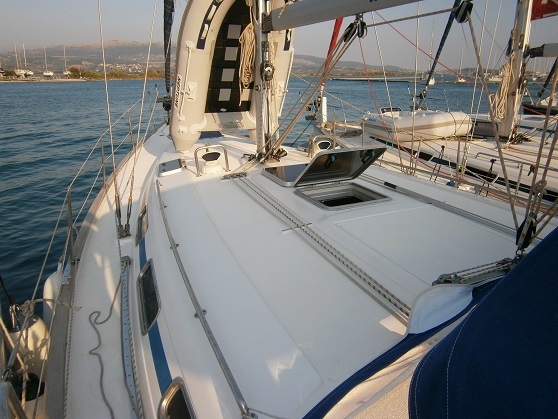 The Bavaria 42 can accommodate up to 9 guests in 2 aft (double bedded) and two front (one V-shape and one upper and lower banks) cabins, when one more person can sleep in the saloon. At 42 feet she is one of the smallest vessels offering four cabins layout and as one expects this reflects to the size of the cabins.